The park gets its name from being between two early towns, Bowness and Montgomery, both now part of Calgary. We did not go far enough along the trail to see the tufa formation, and the 3 meter tall waterfall, however we did enjoy the grassland meadows, the ponds, and the balsam poplar trees. The sense of adventure that grows with each step along a new trail, following the paths (or not) and exploring the park is one of my favourite parts of these druid walks. Beavers, always busy beavers leave their marks wherever they can. Some of the trees protected by the wire cages are already halfway chewed through! There were several little waterfalls (springs) running down from that bank. Just above is the aptly named neighbourhood of Silver Springs. The sound of the water, combined with the quietness of the overcast sky made this a most magical and refreshing spot. 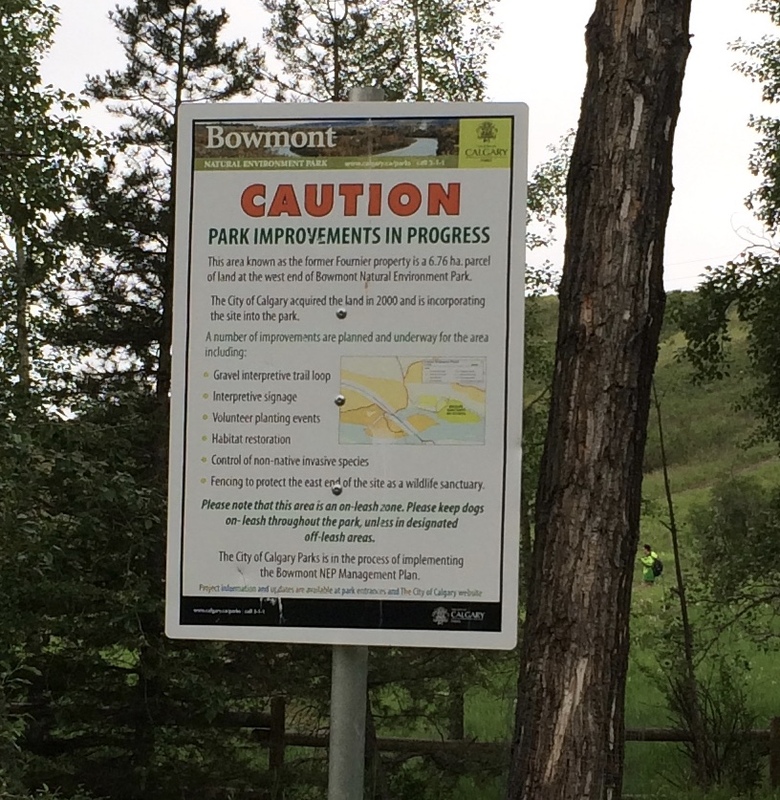 On this day, Bowmont Park most certainly was Blessed by the Element of Water.